Why pay more for Roller Blinds in Melbourne? 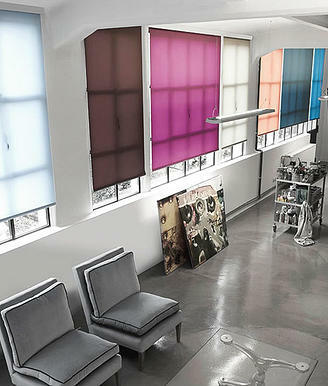 At Blinds4Less, we deliver low cost Roller Blinds, also known as Holland Blinds in Melbourne at the highest quality. Suitable for both the home and office, our large range includes both neutral and rich colour palettes to cater for all styles. Our roller blinds or holland blinds are made using the best parts and materials, to produce a product that looks great, and is easy to use. Having the double blinds option, means that you have even more control over the appearance, and light filtering of your room. 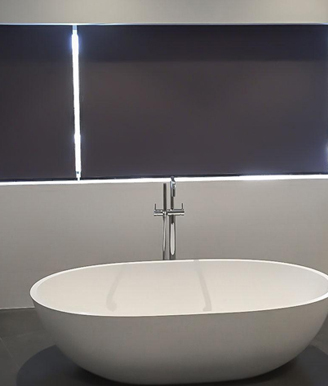 Blockout Roller Blinds, with motorised options. All of our fabrics, from sheer, to sunscreen blinds and blockout blinds, are laser cut to ensure exact measurements. They feature a patented Easylock system with optional Spring Assist, Multilink and dual roller blinds systems. If you require additional darkening to your room, this can be achieved with the adding of side channels during our installation. 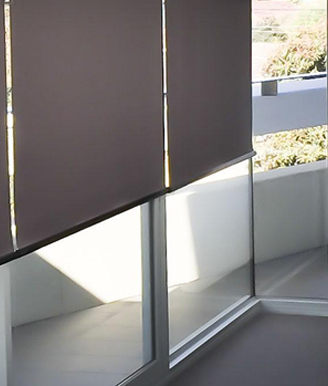 For added ease of use and functionality, we also offer both a budget and premium range of standard holland blinds and motorised blinds in Melbourne. Peace of mind in knowing that should our blinds falter under normal working conditions, we've got you covered. Proudly made locally to Australian Standards. Our roller blinds are made using state of the art manufacturing technology. Our range of fabrics, including sheer, sunscreen and blockout, are cut with the latest laser cutting technology. This delivers a squarer, cleaner edge and reduces the incidence of fraying. 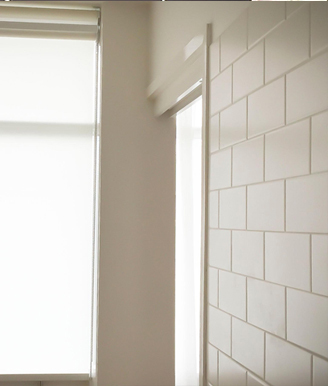 Our Roller Blinds come standard with a minimum 43mm diameter heavy duty tube. This reduces curvature on the roll and improves the longevity and smooth operation. Our range can extend up to 2.5 metres in width, and comes standard with a spring assisted booster to make lifting larger blinds easier. This also increases the longevity of your roller blinds.